So listen, I’m pretty lucky with my local comic shop (Shout out to Comic Envy in Asheville for being the BESSSST.) But I know everyone doesn’t have an awesome local store like I do. Man, I’ve definitely had a couple of bad experiences. 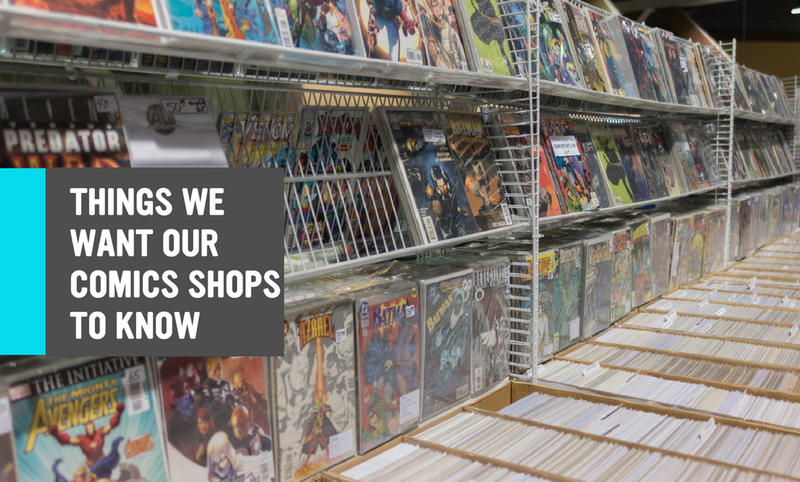 So here’s what a couple of Book Riot contributers would like to tell all comic book stores, because hey, we like being nerds and spending money on comics. So there we have it; that’s what a couple of bookrioters want. I can say that really working on these things creates loyal and happy customers who want to spend money in your shop, so everyone wins.